The portion of network revenues demanded by Apple is believed to have been behind Vodafone's decision not to sign up as the exclusive partner for the iPhone in the UK. ... 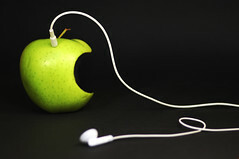 The iPhone is expected to launch in November in the UK through O2, in France with Orange and in Germany with T-Mobile. So not only does Apple (AAPL) keep all the revenues from the $500 iPhones, but it gets a cut of the monthly service fees as well. I guess even (most) hard-nosed telecom execs have a hard time saying "No" to Steve Jobs. But if this report is true, good for Vodafone CEO Arun Sarin for sticking to his guns. Update: Another tidbit about the economics of the relationship between Apple and the mobile carriers. Citigroup analyst Richard Gardner models iPhone revenues for Apple to include the entire $500 average selling price plus a $100 bounty from AT&T. (This is from a June 28 note of his). Gardner does not model in any cut of the monthly subscription revenues, however. (The $100 bounty would be more like a typical subsidy). So if Apple is also getting part of AT&T's monthly fees, not to mention that of the European carriers, that would significantly increase its profits from the iPhone. WiFi mesh networks are now going solar. Meraki Networks, a startup funded by Google and Sequoia Capital, today announced a $99 solar-powered wireless router/repeater that can create a mesh network with other similar routers. (The $99 is only for the weatherproof router. The solar panel has not yet been priced. Both should be available by August). Meraki is a service, like municipal WiFi. The economics of access changes when you create a big network. One Meraki-powered mesh network in Slovakia, where DSl lines cost $100 a month, supports 350 people. Another in San Diego, the So Cal Free Net, is serves 600 low-income residents with only three business-class DSL lines. And Meraki itself is bringing a free WiFi mesh network to parts of San Francisco (this is separate from Google's project to cover the entire city with free WiFi hotspots). Currently there are 1,000 Meraki mesh netwoks worldwide with about 40,000 users. Normally, each of these routers would have to be plugged into an electrcial outlet. But now they can be solar-powered, which should help Meraki with it's stated goal of trying to bring "Internet acces to the next billion people." 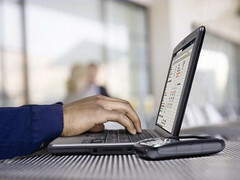 Meraki's mesh technology is also being incorporated into each One Laptop Per Child computer (as students, Meraki's founders had previously created MIT Roofnet in Boston). You probably have a better idea of what you should charge in Zimbabwe than I do. Meraki's biggest weakness is that it fails to link, or at least give the option to link, the separate networks being built out on its technology. Contrast that approach to that of Fon or other WiFi communities where if you are a member you can log on anywhere in the world there happens to be a network. With Meraki's mesh networks, people are building 1,000 standalone islands. What would really be disruptive would be to connect them all together. —Apple TV's most highly touted feature is its weakest one: It requires an HDTV, but the video you download is so low-res that it looks as fuzzy as plain old broadcast TV. —There's no way to order a movie directly from the iTunes store via your TV, even though Apple TV has its own connection to the Internet. Instead, you have to download it to your computer first. —Apple TV lets you show photos only from a single computer, even though photos are the one source of HD content everyone has, and are easy and legal to share over a network. The cool factor of tiny screens just got a boost. 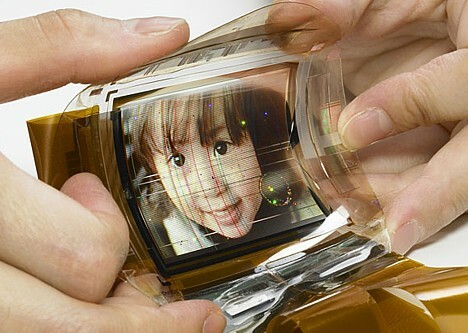 Sony just announced a new technoloy that allows them to put a color screen on flexible plastic. Digital wallpaper anyone?